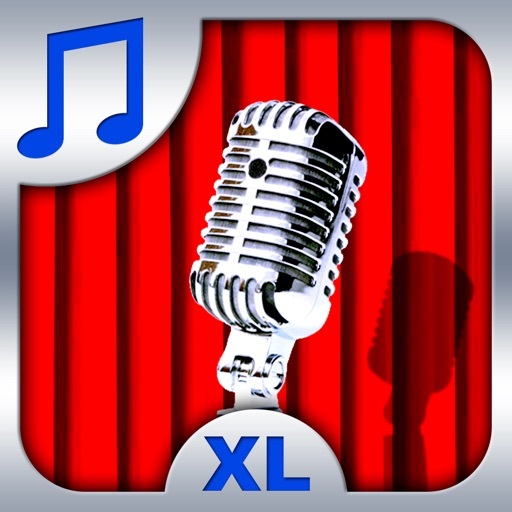 Bring out the star in you with CenterStage XL, an Extra-large customizable soundboard, with iTunes File Sharing, Sound Document support, Sound and Icon URL Pasting and Expanded Media Support (Premium Feature), Volume Control with Fade Out support and more. Entertain yourself and others in ways you haven't thought possible before. Ideal for DJ's, radio shows, sports announcers, role-playing games and anything else you can think of. - Tap to play. Tap and hold to play looped. - Multi-tap to play multiple sounds at the same time. - Drag/strum fingers across the board to create havoc. - Sounds are ready to play, no loading or paging needed. - Volume Control adjusts device volume. 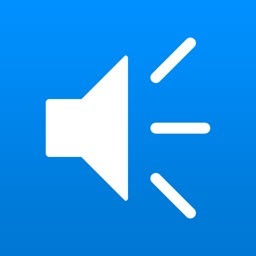 - Fade Out / Mute button, with adjustable fade out duration. 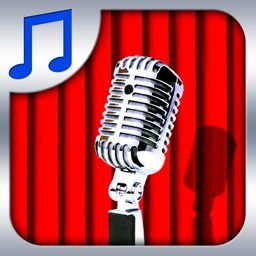 - Record and use your own sounds with the built-in mic. - Download and use WAV sounds from the internet (Paste-a-URL). - Open and use WAV sound documents, like Mail attachments. 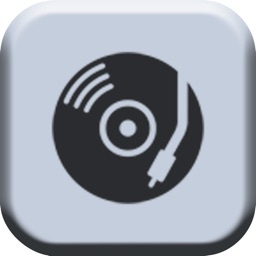 - Upload and use WAV sounds via iTunes File Sharing. - Customize button icons and board background from Photos or Camera (if available) or Pasteboard or the internet (Paste-a-URL) or via File Sharing or use any iPod library album art. 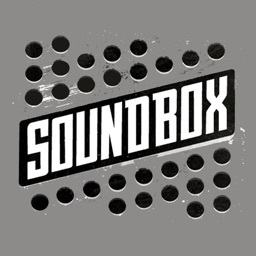 - Customize sound labels and button look. - Paste sounds, icons, labels between buttons. - Sounds can be set to Solo mode. - Add sounds to Shaker list to Shake-to-play a random sound. 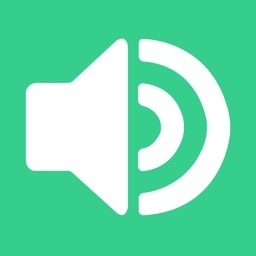 - Email both built-in and recorded sounds. 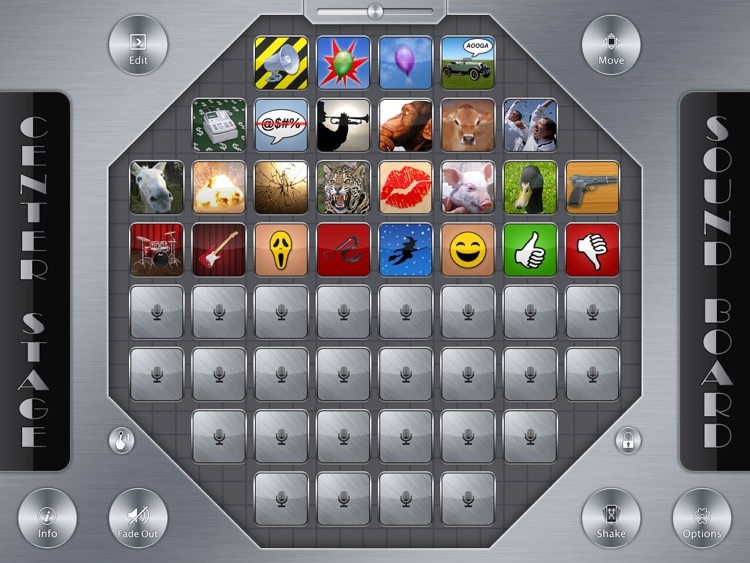 - Toggle between single-button play mode and multi-touch play mode. CenterStage XL has 52 sound buttons. The first 26 are pre-populated with built-in sounds/icons. The rest are blank for you to add some of your own sounds and icons. All 52 sound buttons are customizable, either from within the app or via other customization methods. A comprehensive Info section describes in more detail how to use CenterStage XL and what sound formats are supported. You can adjust the sensitivity of the accelerometer for motion activated play (Shake-to-play). The 3 ways of playing sounds (tap, timers, Shake-to-play) do not interfere with each other and can be used in conjunction with each other. With music sources, only one can be playing at any time, but will remain playing even after the app is closed. 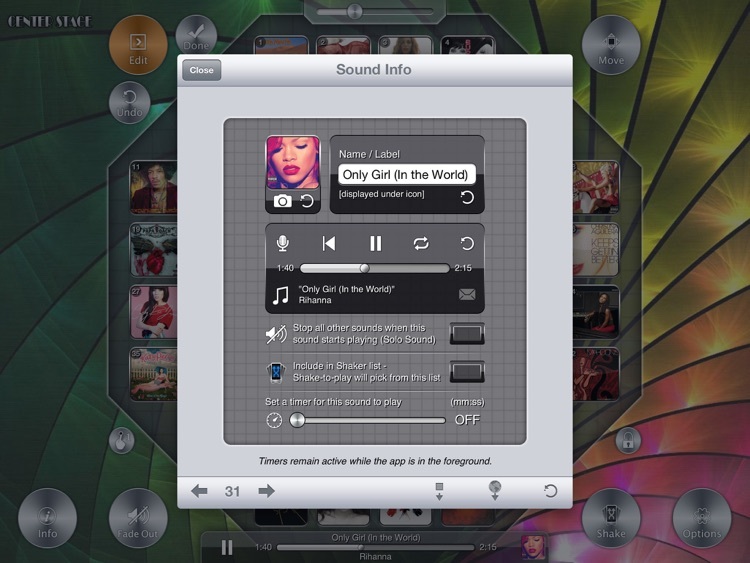 With other sounds, multiple sounds can be playing at the same time (overlap), even while iPod audio is playing. Tap Fade Out button to fade out. Tap and hold for list of options, including a Mute option. 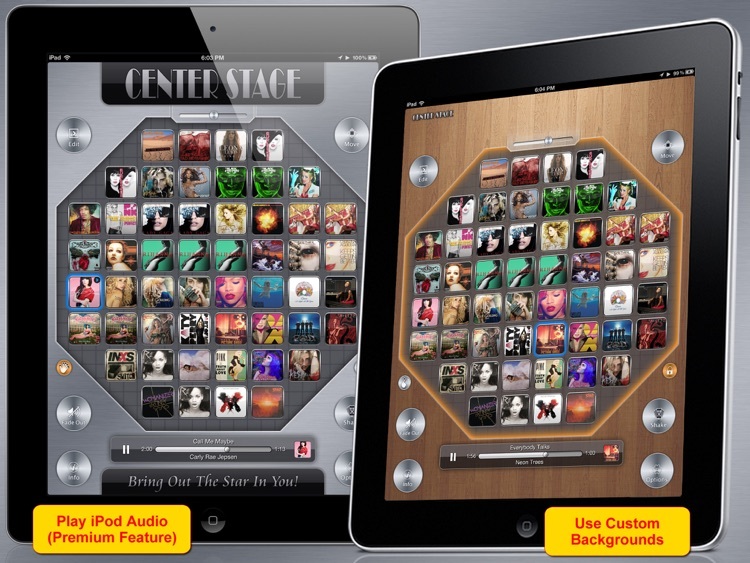 - Please leave your comments and suggestions of what else you'd like to see added to CenterStage XL. - Let us know how you have used CenterStage XL, we wanna know! - We love reviews. We only ask that you try the app first before you leave a review. And if you're leaving a review because you're having problems with the app, please give us a chance to troubleshoot it for you first. Thank you. - If you can't hear any sounds, please make sure the device volume is turned up while the app is running. Also make sure the app is not in Mute mode. - If you're importing sounds, please read the Info section in the app that describes what formats are supported and what the different ways to import sounds are. - If you're picking a song from the iPod library and nothing happens, reset the privacy settings for Media Library and try again. We respond to all emails and help troubleshoot problems. Please email [email protected] for help or feedback.